At the behest of the Duchess of Atholl, George Orwell (1903-1950) spoke at the League for European Freedom, a neo-conservative forum with whom the celebrated author shared a distinct disdain for Communism. There, the similarities ended however. In a brutal reminder of his political pedigree Orwell decried the League for its implied duplicity in attempting to defend European democracy on one hand yet say nothing about British imperialism on the other. The year was 1945: the end of the war was but a breath away, Churchill was about to be steamrolled and British India was still four years from partition. Orwell concluded: “I belong to the Left and must work inside it, much as I hate Russian totalitarianism and its poisonous influence in this country” (Orwell 1945, quoted in Woodcock, 1967, p. v). The sentence’s sentiment goes to the very intent of how the novel he’d been thinking seriously about writing came into being. Leaving aside any literary evaluation, the novel Nineteen Eighty-Four tells us more about Orwell’s England than it does about Stalin’s Soviet Union or Hitler’s Germany. Readers at the time read the novel and immediately (and erroneously) saw the Soviet regime writ large. The author was instead painting a much broader condemnation of totalitarianism, but one firmly wedged in the pre- and post-war England of his own experiences. Drabness, commodity shortages, personal deprivations, propaganda and an excessive bureaucracy were just some of the similarities Orwell’s own England and the novel shared. Of course, the same can be said to a certain degree of the Soviet Union and Germany, but Orwell’s warning – which Nineteen Eighty-Four is often seen as – is more a diatribe highlighting the perversions to which a centralised ideology/economy is liable to adopt. In addition, the novel is an attempt to expose the increasing Communist-appeasing tendencies and associated ‘poisonous influences’ gestating within England’s increasingly elitist and hierarchical Left during the 1940s. To better appreciate the extent of Orwell’s preferred polity and the increasing disenchantment he felt towards it ever being realised, one must go to Spain. Here, he endured the perils of centralised authoritarianism first hand while fighting alongside anarchist separatists in Spain’s 1936-39 civil war. Appalled at the ‘poisonous influence’ inflicted on the Spanish insurrectionists by Moscow-led communists from afar, Orwell later detected similar ideological tendencies and influences taking hold within Britain’s state socialism. Nineteen Eighty-Four was his documented warning as such; an extrapolation – to the point of satire – of the evils of totalitarianism: Stalinism (and Nazism to a lesser degree) were more timely, albeit contributing sources to the authors’ mindset, than the novel’s actual subject. Orwell’s civil war experiences in Spain – recounted in Homage to Catalonia (1938) – instilled an enormous hostility towards and disillusionment with orthodox Communism. Fighting for the Republican insurrectionists – themselves a motley and diverse collection of anti-Fascists and politicised trade unions – Orwell’s semi-autobiographical account describes the internecine dissent between supposed Republican and Communists allies, including deplorable examples of Communist deceit in backing the war, as well as intellectual dishonesty in reporting the war. “Homage – written on his return to England in 1937 – is an attempt to set the record straight, to record the ‘political truth’ of the war as he saw it” (Coles, 1981, p. 66-67). Describing himself as a soldier of a revolutionary army defending democracy against Fascism, Orwell got down to business in ‘setting the record straight’. He was scathing of the “scandalous distortion of news from Spain in favour of the Stalinists by the liberal English press” (Woodcock, 1967, p. xii). Or as the author so succinctly put it himself: “the romantic warmongering muck that our left-wingers were spilling at that time” (1970, p. 289). His conclusion was that intellectuals in general, and Britain’s socialist movement in particular, were being seduced by totalitarian ideas and models. Orwell later wrote an essay, Looking Back on the Spanish War, recounting with horror (and with hindsight) the depths to which the truth suffered in wartime reportage within the British press: “I saw great battles reported where there had been no fighting, and complete silence where hundreds of men had been killed” (Orwell, 1970, p. 294). Any ensuing novel or writing on the subject naturally becomes immediate and personal and says as much, if not more, about the prevailing social climate, and in Orwell’s mind, an extrapolation of ideological tendencies at the time. Such candour did not endear him at all to many of his democratic socialist colleagues. In fact, Stapleton states (1983, p. 658) that “Orwell was vilified by the fashionable and sentimental Left in England who knew nothing of the truth and had no desire to be told it”. In this context, Nineteen Eighty-Four, with its assault on truthful language and the rewriting of history, can arguably be seen as saying more about the author’s home than it does about the Soviet Union or Germany. This is not to say however, that echoes of Nazi Germany cannot be heard in Nineteen Eighty-Four. The notorious book burning episodes and Nazism’s fabricated denunciations of European Jewry serve as just two horrific reminders of totalitarian attempts to alter history. In fact, Orwell’s contempt for Germanic nationalism and Hitler’s tyrannical megalomania occasionally surfaced in some of his journalistic pursuits. Reviewing Mein Kampf in 1940 for the New English Weekly (Orwell, 1970, p. 28), he referred to Hitler’s plans for a continuous Aryan state with plenty of “living room” as a “horrible brainless empire in which, essentially, nothing ever happens except the training of young men for war and the endless breeding of fresh cannon-fodder”. It is fair to say that similar notions of warfare in perpetuity – with Oceania and its two adversaries in a continuous state of conflict – permeate Nineteen Eighty-Four to a significant degree. References to Hitler’s Aryan supremacists – a driving tenet within the Reich – also appear in Nineteen Eighty-Four. At one stage Winston looks around the canteen imagining “the physical type set up by the Party as an ideal – tall muscular youths and deep-bosomed maidens, blond-haired, vital, sunburnt, carefree …” (1949, (1989), p.63). members of the Chess Committee, of whom Syme had been one. It looked almost exactly as it had looked before – nothing had been crossed out – but it was one name shorter. It was enough. Syme [as had countless Russians] had ceased to exist: he had never existed. Given then the environment of a world war that saw bombs reign down on his homeland delivered by Fascists from afar, the disillusionment he felt for Britain’s traditional Left and its degenerative role as an apologist for Russian foreign policy, combined with numerous written nuances, perhaps best summarised by his assertion (Orwell 1940, quoted in Woodcock, 1967, p. xii) “that the future must be catastrophic”, Nineteen Eight-Four can arguably be seen, not so much as an attack on Stalinism per se, but rather, a polemic on “credulous or self-serving people who call themselves socialists, and on some of their illusions” (Pimlott, 1989, p. xv). Ingsoc – the Party’s ideology – is thus presented as a perversion of English socialism. Hammond (1984, p. 173) rightly refers to one element of this perversion – and one of the novel’s central theses – as “the insidious effects of concentrating power in the hands of an unscrupulous elite”. There is the additional argument – supporting the case that the novel is more about England and less about the Soviet Union and Germany – suggesting that Ingsoc might also be seen as a thinly disguised indictment of England’s pre- and postwar governments in general, and the British Labour party in particular. Excerpts of Orwell’s journalistic endeavours tend to support this view. Newsinger contends (1999, p. 124) that while “he continued to be an opponent of capitalism [Orwell nonetheless] remained dissatisfied with the Labour Government’s restraint and moderation”. Taking this one step further, Newsinger (like Pimlott above) says “Ingsoc can be better seen as deriving from a British National Socialism or British Nazism”. Either way, England is again the source. Orwell’s most profound insight, according to Coles (1981, p. 159), “envisions an absolute totalitarianism which precludes individuality in society”. While Nineteen Eighty-Four is imbued with a lifetime of ideas unleashed by its author, it is fair to say the novel was physically conceived in the bombed out ruins of war-torn England. Orwell: “The scene of the book is laid in Britain in order to emphasise that the English-speaking races are not innately [immune from, or] better than anyone else and that totalitarianism, if not fought against, could triumph anywhere” (Orwell 1949, quoted in Hammond, 1984, p. 173). The dystopia Orwell described would be instantly recognisable to inhabitants of 1940s London. And given the similarities between the author’s homeland and Oceania – overzealous bureaucracy, personal depravity, drabness, commodity shortages and the insidiousness of propaganda, apart from the poisonous ‘apologetic’ influences infecting British socialism – Nineteen Eighty-Four can legitimately be claimed as telling us more about Orwell’s England, than about Stalin’s Soviet Union or Hitler’s Germany. Does the novel also offer insights into Australian politics now? Very little. Fifty years after publication (and almost two decades later than the ominous year in question), Nineteen Eighty-Four is showing its age somewhat. At the time of writing (late 1940s), totalitarianism was a real stalking fear that consequently has not stood the test of time. While the second half of the 20th century has had its share of authoritarian regimes, they have tended to operate in isolated pockets with minimal impact on the global scheme of things. The cessation of the Cold War ‘duopoly’ has only diminished (but not discredited) Orwell’s prophetic plight. Today, transnational NGOs like the United Nations (via peace-keeping envoys and trade sanctions) and the World Bank (by withholding loans or credit) play a considerable part in restricting totalitarian-like tendencies. And the internationalisation of trade also inhibits such provincial and dictatorial insularity. Since the symbolic fall of the Iron Curtain in 1989, there is no longer an ideological trade bloc that might facilitate a semblance of totalitarian rule. Romania’s deposed dictator, Nicolae Ceaucescu, is a case in point. The question begs: How long can a story about a future that is past continue to alarm, at least in an Australian context? Our own political Zeitgeist circa 2000 can draw little from Nineteen Eight-Four, at least in terms of heeding Orwell’s dire warning, mainly because the totalitarian threat that framed the consciousness of Western governments in the late 1940s, has lessened considerably, if not completely, a half century later. But this is not to dismiss some of Orwell’s concurrent themes altogether. Issues like the concentration of state power and governmental deceit, individual freedoms, the imposing of politically correct language, as well as occupational health and safety concerns are as relevant today as they were to Orwell’s protagonists. As a novel, Nineteen Eighty-Four is first and foremost, a work of fiction. But as Pimlott asserts (1989, p. xvi), “it can also be seen as an account of the forces that endanger liberty and of the need to resist them”. And that summation is as timely now as it was in Nineteen Eighty-Four, or even 1940s England. Brown, G., 1990, Notes on George Orwell’s Nineteen Eighty-Four, Pan Books, London. Coles Editorial Board, 1981, George Orwell’s Works, Coles Publishing, Canada. Hammond, J.R., 1984, A George Orwell Companion, Macmillan Press, New York. Hunter, Lynette, 1984, George Orwell – The Search for a Voice, Open University Press, England. Newsinger, John, 1999, Orwell’s Politics, St Martin’s Press, New York. Orwell, George, 1949 (1989), Nineteen Eighty-Four, Penguin, England. 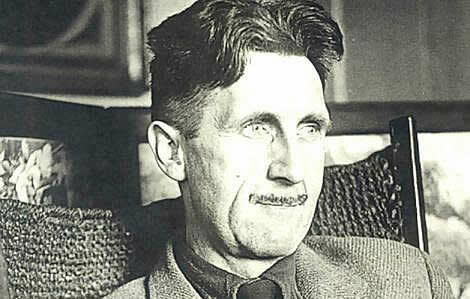 Orwell, George, 1970, The Collected Essays, Journalism and Letters: Volume 2, Penguin, England. Pimlott, Ben, 1989, Nineteen Eighty-Four – (Introduction), Penguin, England. Stapleton, M., 1983, The Cambridge Guide to English Literature, CUP, Cambridge. Wilding, Michael, 1980, Political Fictions, Routledge & Kegan Paul, London. Woodcock, George, 1967, The Crystal Spirit, Fourth Estate, London.